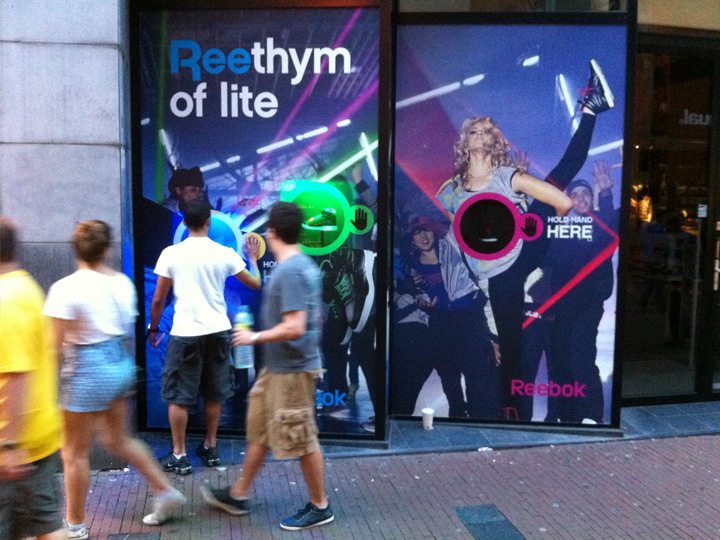 Amsterdam based Goed Bezig Producties asked us to design and produce an interactive shop window installation for Reebok. 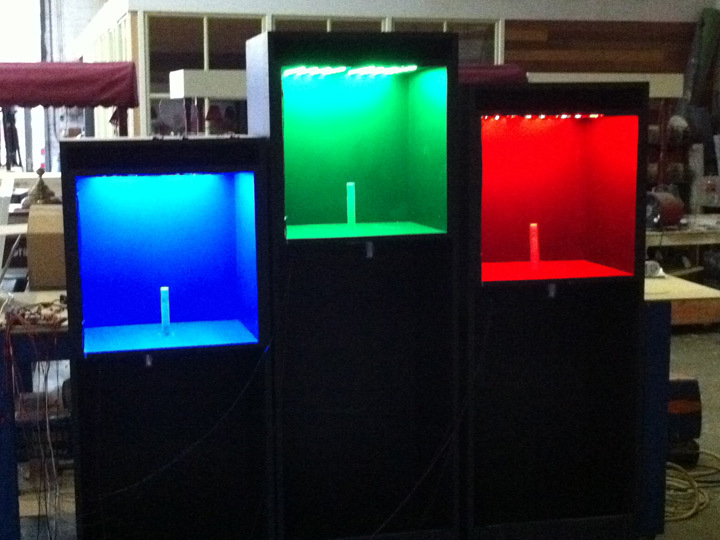 The installation would require some type of sensor through which the public could activate light and motion sequences behind the glass. 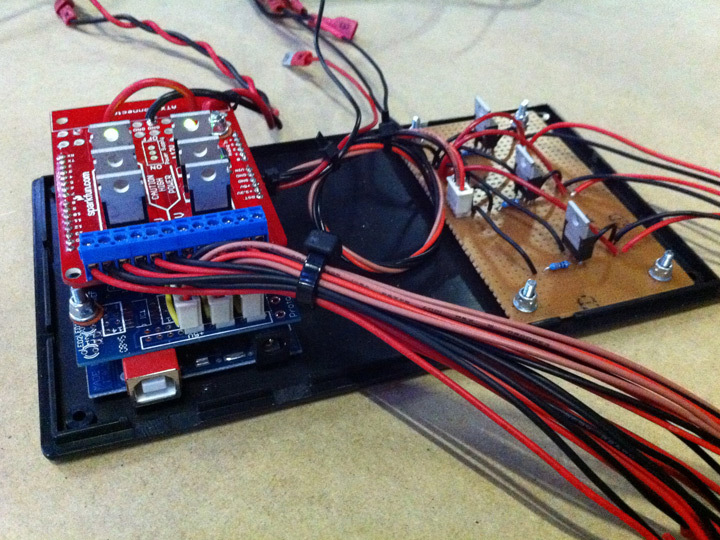 We came up with a custom and robust solution and provided the electronics so people could activate a LED light show, during which the shoes would rotate 360 degrees. 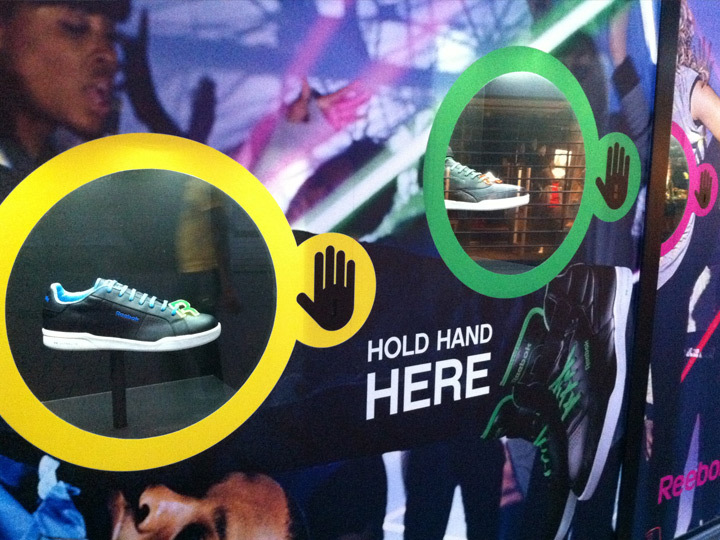 The interactive shop window setup was installed at Frontrunner shoe store in Amsterdam’s main shopping street, the Kalverstraat. 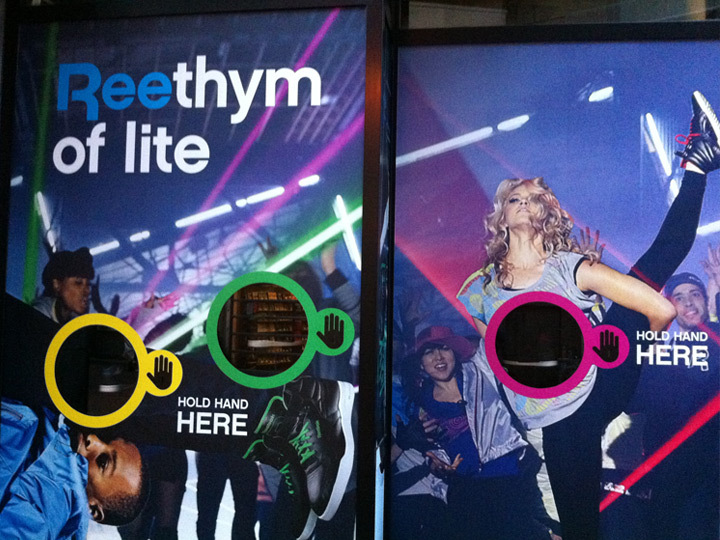 The campaign lasted 2 weeks during the summer of 2011, to promote Reebok’s new “Reethym of lite series” of sneakers.